But haters gonna hate, hate, hate, hate, hate, and Brady is gonna go 100-of-144 for 1,268 yards, 14 touchdowns and no interceptions over his next four games. 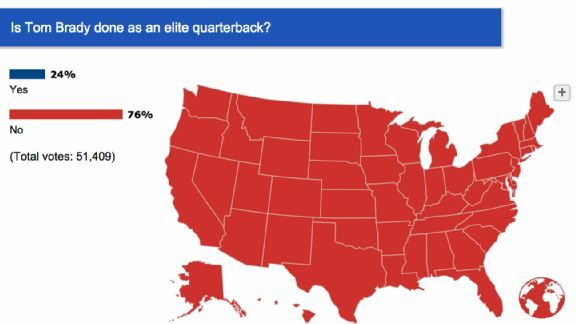 What say you now, SportsNation? That's what we thought. Haven't weighed in yet? VOTE HERE.